The final transformation. 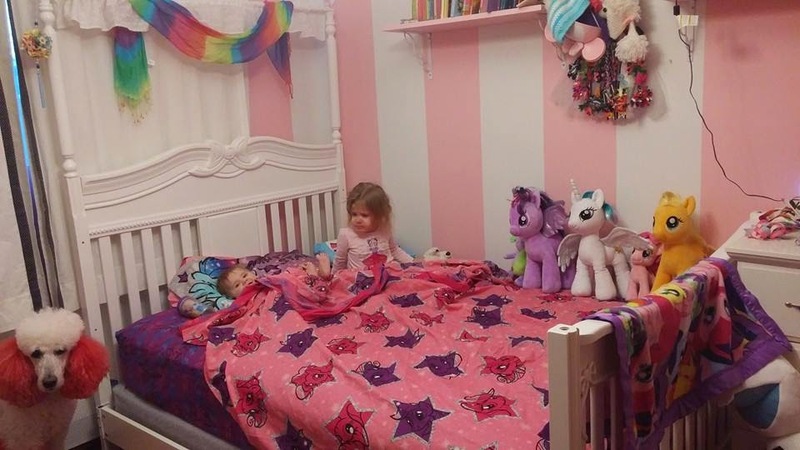 What was once a Disney Princess Crib, and most recently a toddler bed, is now a full-sized bed. We even went to Sleep Country, and let Elora choose her own mattress. A quick trip to Target later, and we were decked out with My Little Pony sheets (with Hello Kitty as a backup) to complete the setup.